Thank you to everyone that came to the visitation and or funeral on Monday. At 101, most of grandpa’s old friends have gone before him, but it was nice to see some of the new ones that he had made. It was nice to see the staff and aides from the nursing home and to know he’ll be missed there. I think for the most part he was one of the easier residents there. There were also a lot of children of old friends and others that remember knowing my grandfather as they grew up. Their effort in coming to attend was appreciated. Also thanks to the Navy and the VFW for their contributions to the grave side service. 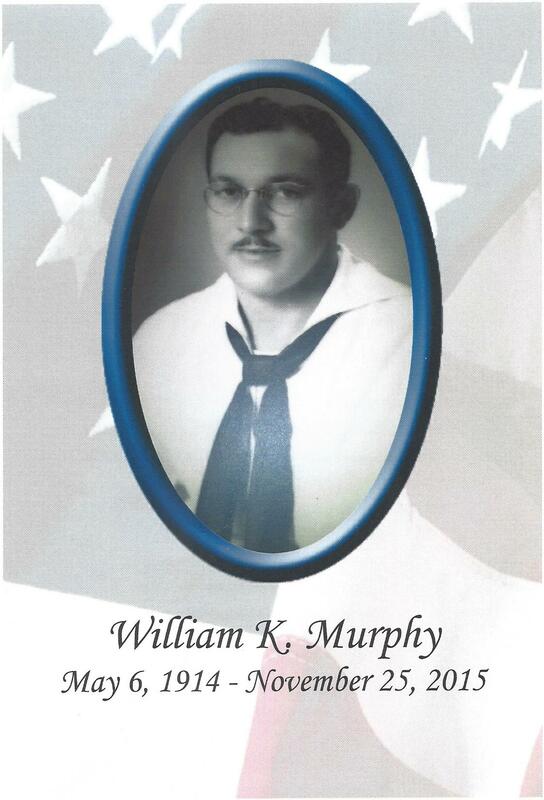 The Navy’s flag ceremony was very moving and a wonderful tribute to my grandfather’s service to his country. I’m doing this using notes from my phone… which my grandfather would find fascinating. He was always asking about it and I would show him the things it could do. At one point he said, “But it’s a phone, right? I never see you talk on it!” At one point we had him using the computer for email. He would call when he had a problem. You can just imagine how difficult it was to explain something over the phone to someone who didn’t know what a mouse was, a cursor was… scroll bars, etc. My grandfather was a very special person. I’m blessed to have had him in my life this long. No one, including him, expected him to live to 101 so that has been a very special gift. I am the oldest of three grandchildren. I believe he saw us all uniquely, and treated each of us as special. When Becky and I got together, she was treated as another grandchild. I believe the same was true of my sibling’s spouses. When great grandchildren came, they were also made welcome and loved unconditionally. I don’t think we could ask for better. Part of the reason that Becky and I moved back to Indiana was to be closer to family. My grandparents never disappointed me in their joy of seeing me. When they were home, I would stop there at lunch. They made it clear that I was welcome that day, the next and the next… But they also made it clear they understood that I was making time for them and that they appreciated it. That never changed. My grandfather taught me to fish and to shoot. He taught me to row a boat. And more importantly he taught me how to appreciate things. He got me up in the middle of the night to watch the first moon landing because it was an important event that I should witness. He taught me to appreciate a fresh baked doughnut as a reward for doing a good deed for an aging relative. He taught me to be frugal, but also to spend money on those who are important to me. And finally he taught me the value of relationships. I don’t think my grandfather ever knew a stranger. When he met someone they almost always left as his friend. For those of you fortunate enough to have met him, you know why. My grandfather also taught me how to enjoy a good joke. For those of you who noticed Pluto on the casket, he was part of a running joke I had with my grandparents… that ran from when I was in high school. When I would visit, I would get that dog out of the toy bin and place him somewhere in the house. Since he was poseable, a lot of the time they would find him in a plant with his leg hiked! 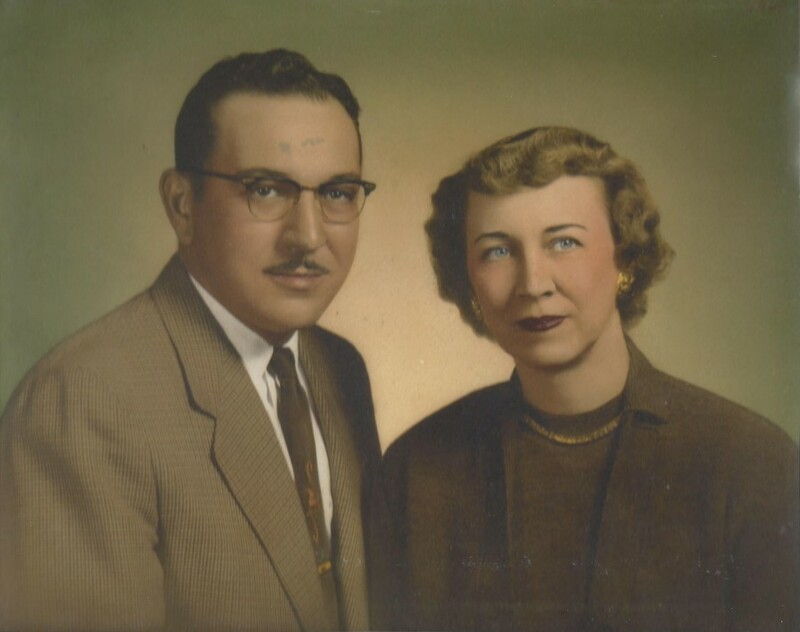 When I went off to college, my grandparents came to visit. A couple of days later, I noticed the Pluto had made it down to my place! From there he racked up a lot of mileage. When we lived in Georgia, he would appear when they passed through on the way to Florida. Then we would take him back when we visited them in Florida or Indiana. My grandmother referred to him as “That Durn’d Dog!” I thought it only fitting that Pluto make this last trip with Grandpa. I guess I get the last laugh… which he would appreciate.